Louis Roederer Champagne Brutshould be served at 11°c. It is perfect for an aperitif also perfect with sea food like lobster or cray-fish. In 1833, Louis Roederer inherits from the House of champagne where he is going to create a style, a spirit and a singular taste in champagnes. Today, the House Roederer is always family and is managed by Frédéric Rouzaud, 7th generation. In 2013, the vineyard of 240 ha consists of historic vines: Chardonnay, Pinot noir, Pinot Miller. 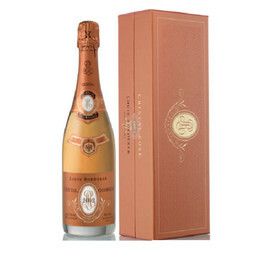 Today, Champagnes Louis Roederer are very famous and symbol of elegance and luxury.